RALEIGH (WTVD) -- You aren't imagining it. 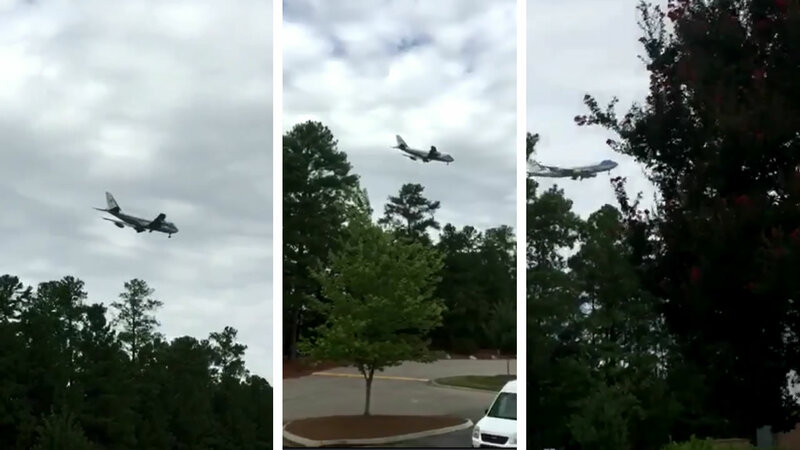 That is, the plane that normally acts as Air Force One was seen flying around Raleigh-Durham International Airport Monday. Airport officials say the Boeing 747 is doing practice runs. The plane has been seen circling the airport and conducting "touch and go" landings all morning. The practice runs are conducted at various airports around the country.